The rising influence of the Internet in the country has led to more oversight by the Russian authorities. 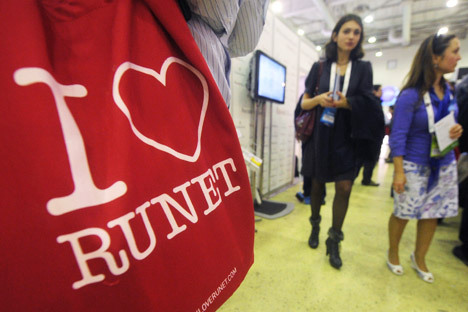 After it left the confines of the academic community, the Runet was for many years the preserve of enthusiasts and experimentalists, including Maxim Moshkov, the founder of the first online library in Russia; Anton Nosik, the author of the first Russian-language blog; and Artemiya Lebedeva, the founder of the first Russian web design studio. Plugotarenko noted, however, that growth has npw slowed to 20-30 percent per year, down from 30-50 percent three years ago. He thinks that this slowdown is not directly linked to increased state control, but rather that the sector has matured and the decrease is part of a natural economic cycle.